Chloé evokes a youthful and romantic spirit in collections that are soft, fluid and feminine with an urban edge. This multicoloured silk floral patchwork print skirt from Chloé featuring a high rise, a concealed zip fastening and an asymmetric hem. 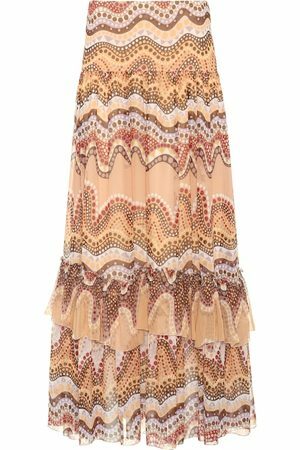 Print Fringe Skirt in Abstract, .